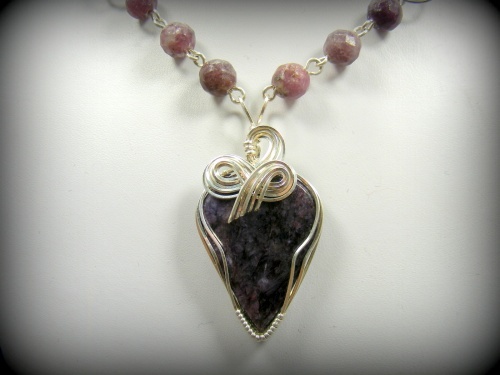 This pretty chariote gemstone focal is embelished with sterling silver curls making the stone really pop. Beads are Lepidolite gemstones and embelished with handmade sterling silver connectors. Has a beautiful hook clasp of sterling silver. Piece measures 19".